Vladimir Putin is cozying up to the far-right to divide Europe, the European Commission’s First Vice-President Frans Timmermans said yesterday (30 March), a week after France’s Marine Le Pen met with the Russian leader. Le Pen, France’s far-right presidential candidate who has called for closer ties with Putin, met him in Moscow last week just a month before the first round of the election there, with the Russian president stressing that the Kremlin does not meddle in her country’s politics. 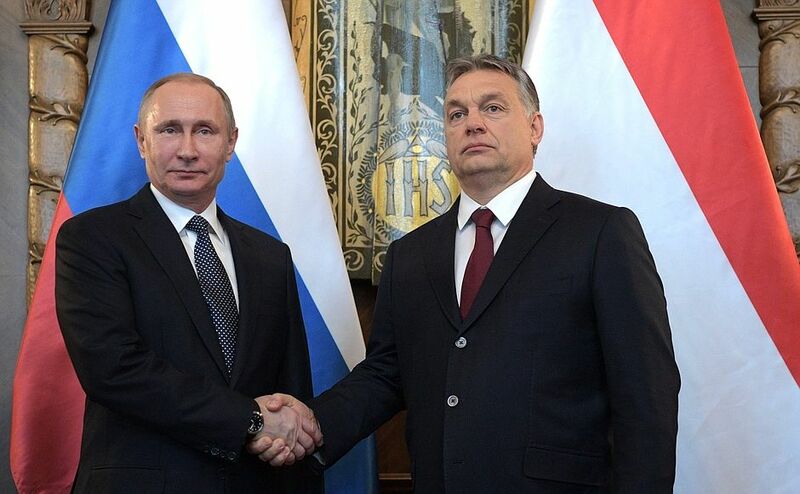 But Russia has offered praise for right-wing and Eurosceptic politicians in Europe – with Putin cementing closer ties with Hungary’s Prime Minister Viktor Orbán, for example, in Budapest last month. 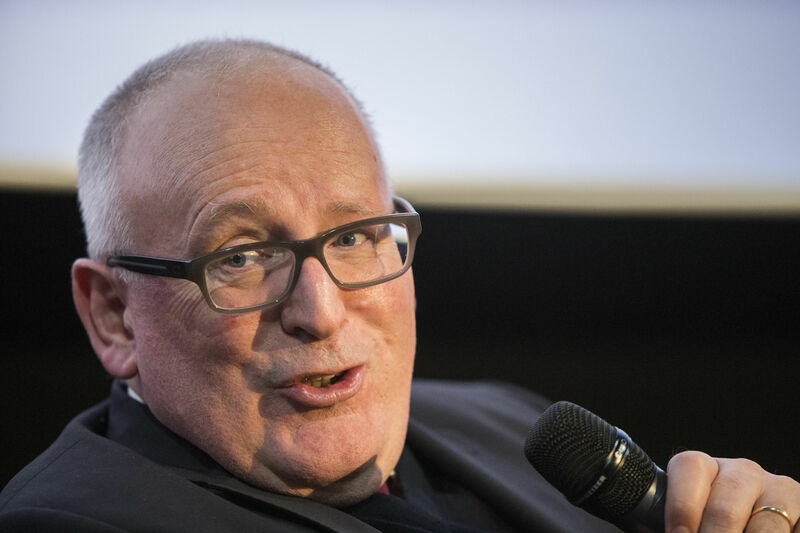 “There is a reason why Mr Putin supports the extreme right all across Europe,” Timmermans told lawmakers in Spain. “Because he knows the extreme right makes us weak, he knows the extreme right divides us. “And a divided Europe means that Putin is the boss,” he said. He said he did not want to enter into conflict with the Russian leader, but thought he was “trying to create disunity by inviting Mrs Le Pen to the Kremlin and supporting all sort of extreme-right parties across Europe”. Russia has been accused of interfering in the US election in an effort to sway results in President Donald Trump’s favour, prompting a probe by American authorities. 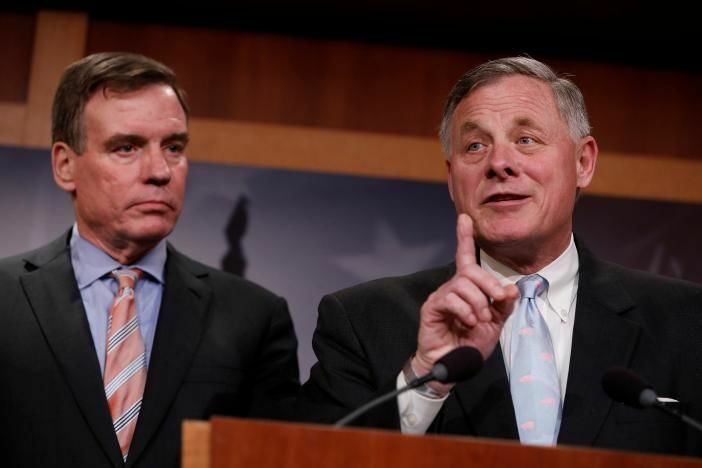 The Republican chairman of the US Senate Intelligence Committee yesterday (29 March) promised a thorough investigation into any direct links between Russia and Republican President Donald Trump during his 2016 run for the White House. 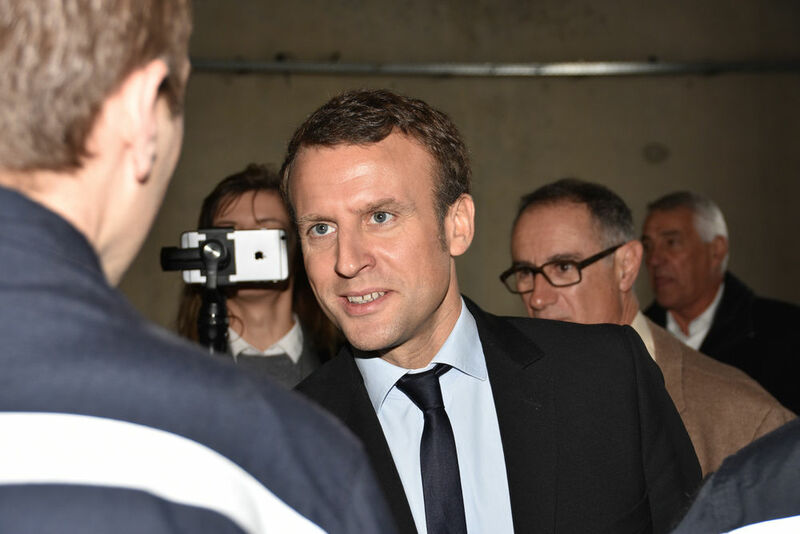 Last month an aide to staunchly pro-Europe French presidential candidate Emmanuel Macron accused Russia of trying to derail his campaign by spreading false rumours through state media. But according to a transcript issued by the Kremlin after Putin met Le Pen, he told her “we by no means want to influence the current events but we reserve the right to communicate with all representatives of all political forces of the country”. German Chancellor Angela Merkel has this month met with French Socialist presidential candidate Benoît Hamon and Macron, as well as conservative candidate François Fillon earlier in January. Still, it is rare for Putin to meet a foreign presidential candidate so close to an election. Why is Timmermans interfering in a National election ?, isn’t he guilty of the same thing he is accusing Putin of ? Mr Timmermans is NOT engaging in cyber warfare/hacktivism, internet trolling or funding far-right parties in other countries. I advised you before to think about the meaning of the term ‘interference’. Only ant-brains can’t work it out. Obama threatened British citizens that Britain would be at the back of any trade deal queue with the USA , if we voted to leave the EU . The man that profited from a British recession . Ask yourself why The EU took advice from , and paraded this man in dealing with the British vote to leave the EU ? I wonder why European politicians are so dead bent on accusing Putin for anything that does not work in Europe. Perhaps because they are unwilling to face the fact of their own incompetence, which is the real reason why populism thrives? Because they share the interests of the USA elites for unending wars, with the bonanza that these wars constitute for the arm manufacturers? Because Russophobia is an easy emotion to ride? I don’t know, but I am convinced that with these people Europe will not walk far. In any event, there is no proof whatever that Russia has interfered with USA Presidential elections. In Germany, one year of investigation by the BDN drew the conclusion that Russia was NOT interfering with German politics — despite the rants of its chief, Mr. Kahl. So, what is this with hunt? Why does our “free” press keep banging on this drum? Go live in Russia, Carlo. A country that has no qualms about invading and destabilising its neighbours, trouncing human rights, and having an incompetent oligarchy enjoying the good life while the general population suffers economic decline. Perhaps time break free from your RT media bubble? So ,the EU members that support The EU, and The EU populists , are the only reasonable people throughout the world . Is there no Oligarchy in Europe ? Tell me , Has the Greek or Portuguese economies declined whilst being in the EU ? Do you think that Germany’s supplying of arms to Russia , before the EU sanctions , aided in the annexation of Crimea ? Do you think Germany’s arms deals with Russia had a stabilising or destabilising effect on the Eastern European EU members ? Who spies whom? CIA listened in Merkel’s, Holland’s, Ban’s telephone calls, even in and around presidential elections. See https://wikileaks.org/cia-france-elections-2012/releases/. But they did it just for fun, not to interfere with elections. German intelligence spied on journalists. But just for fun. I have read the intelligence assessment about alleged Russian interference in the 2016 Presidential elections. It surely failed to convince me. It was found unsatisfactory even by staunch pro-Clinton media, like the Guardian. Read the Intercept for expert opinions, and you’ll find the same conclusions. No proof. Just hints and allegations. So, we have on one side, the certainty of Western spies spying on Western leaders — and presumably on Russian leaders as well — and on the other NOT ONE SINGLE SHRED OF EVIDENCE that Russian hackers, let alone Putin, has interfered in any way in USA elections. At least so far. Perhaps in the future the proof will be found but for now nothing, nada, zilch. Schuman, I assume you are, like myself, a person that searches for the truth. If so, how can you write that Russia invades other countries, when what Russia did was to reclaim what was hers to begin with, and do not even mention, for fairness’ sake, the havoc brought by the West on the world. The list of countries attacked, invaded, bombed to smithereens, without a shred of authorization by the UN includes Iraq, Libya, Syria, Yemen and Somalia. We in the West have no right to criticize Russia until we have cleaned our act. And no, I prefer living in Italy. I like the food, the climate, the art. The far right means nothing. Europe is doomed, Putin cannot save them. People will continue to vote for the shiny happy people human (foreigner’s right to colonize) rights preserving self destructive progressive left wing parties. Why? because that makes them feel like they are ‘good’. We have imploding white birthrate combined with mass immigration and with acceptance of these people forced on recipient populations by law, where they immediately have equal rights, or even get preferential treatment over natives and an anti-racism ethos that obliges daddy to smile when his daughter, brainwashed by Hollywood, feels she has to show how progressive she is by marrying an African. This all makes the future of a non-white Europe an inevitability. Progressives will get what they want, which is the annihilation of the white race.